Join us on an adventure to Maui's north shore in the comfort of our custom 4x4 van. We will take the cliff at Jaws to experience the place where the largest waves in the world break and are braved my elite athletes. 3 hour tour begins at Jaws Country Store 4320 Hana HWY. Mile marker 14.5. We will head directly to the Jaws parking lot over looking the break. We will highlight all the landmarks on the way to the Jaws. 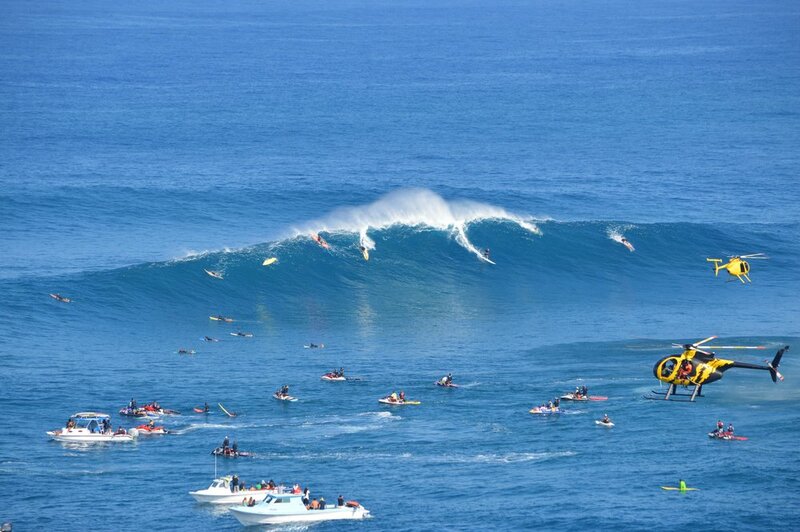 Educational/historicaltour of the world famous Jaws big surfing break with spoken guide a Second stop is Hookipa Beach park scenic lookout to watch the surfers, windsurfers, waves, ocean wildlife(turtles). Ask for Jaws Swell Updates!